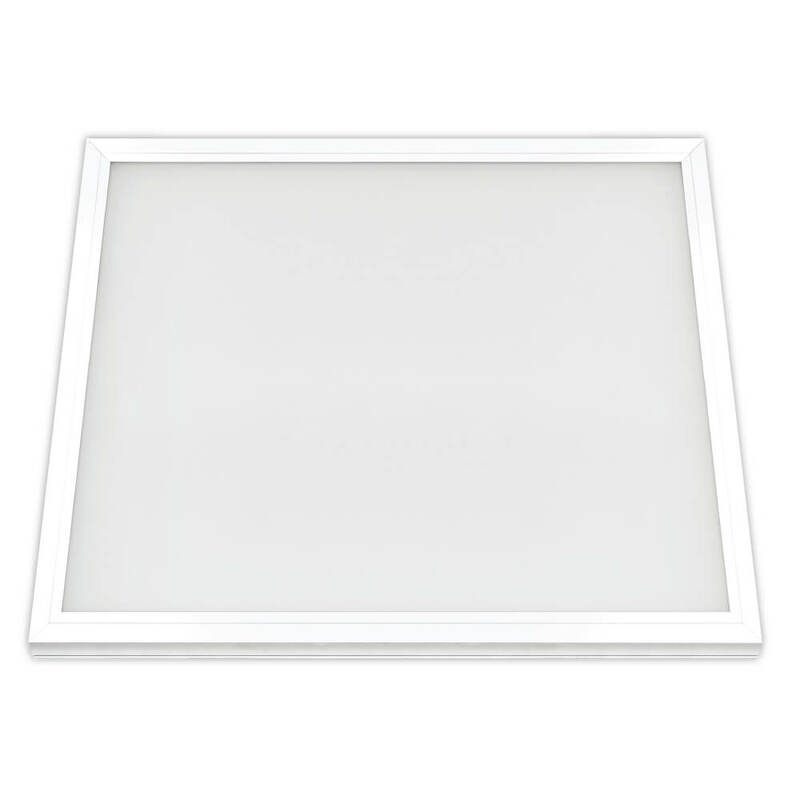 The Feit Electric FP0.5X2/4WY/WH 6 inch by 2ft rectangular LED flat panel fixture with selectable color temperature provides added function and beauty to any residential or commercial area. 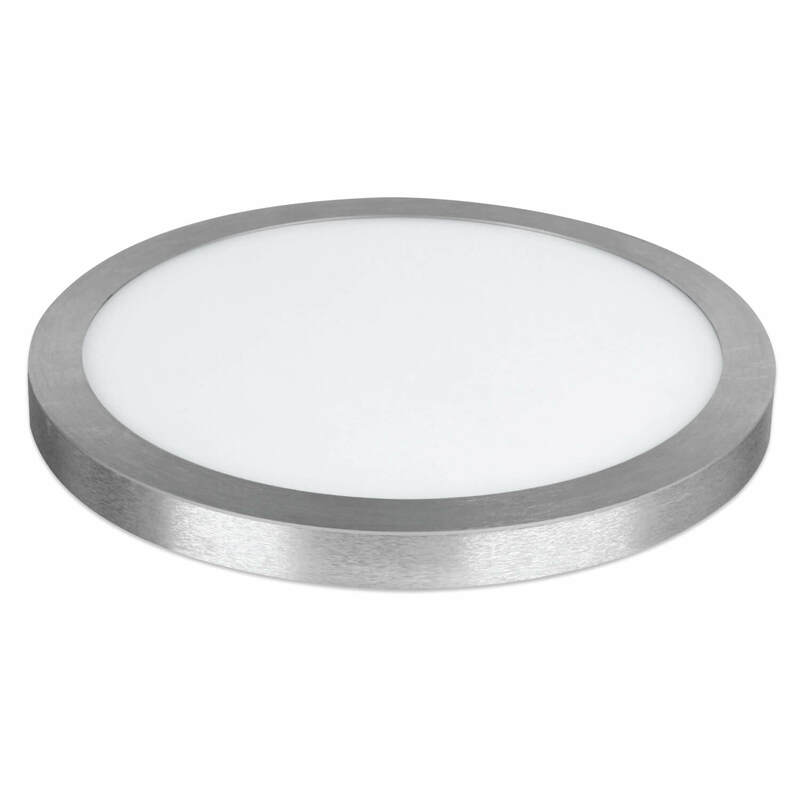 Adjust color temperature to your needs using the switch at the back of the fixtures. Toggle once for warm white, twice for bright white and three times for daylight. A frost white polycarbonate lens and slim profile white frame lend a touch of elegance to interior spaces. 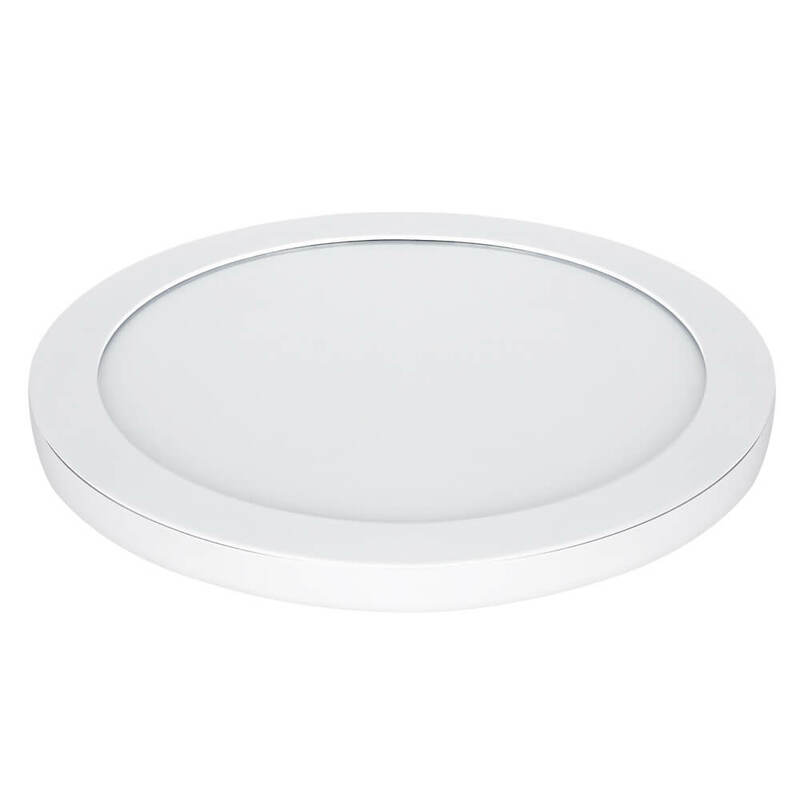 These ceiling fixtures produce an even light distribution of 875 to 950 lumens and have an average life of 50,000 hours / 17 years delivering Energy Star certified reliable lighting. 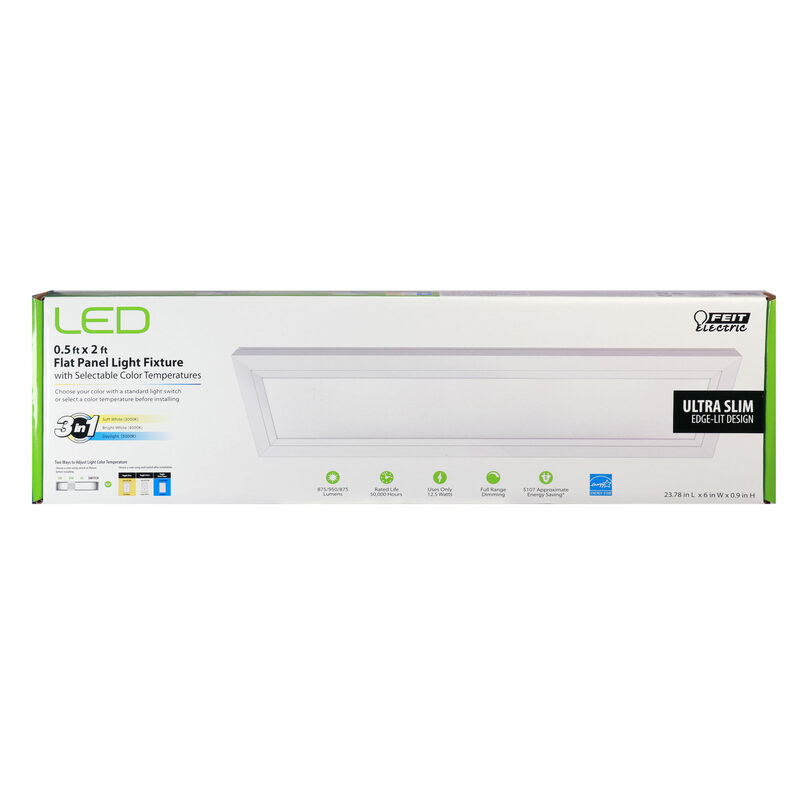 Innovative edge lit LEDs directs the light downward creating uniform light distribution without hot spots, flicker or glare.